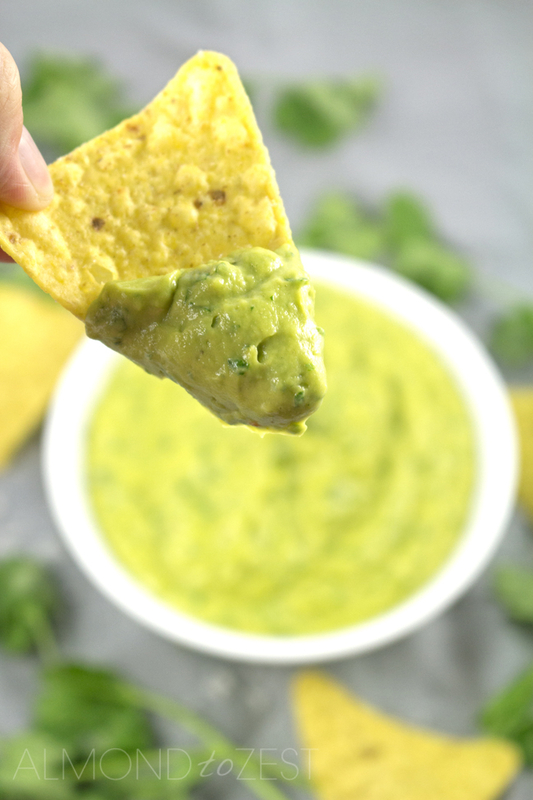 Guacamole is one of my favorite dips and this is by far the best guacamole recipe you’ll find, just try it and see! Not only does this guacamole taste delicious but it is quick and easy to make, gluten-free and vegetarian. 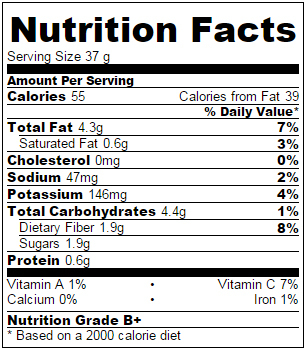 Loaded with avocados which are a great source of dietary fiber, copper, folate, potassium and pantothenic acid. 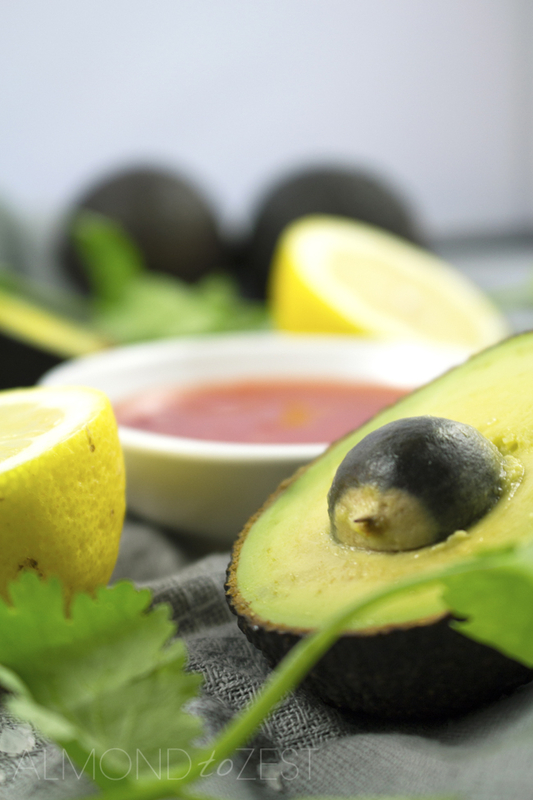 Avocados also contain high amounts of vitamins K, B6, E and C. They’re also a source of heart-healthy monounsaturated fats essential in any diet – a true super-food. Quick and super easy to prepare, this healthy avocado dip is unbelievably velvety and just so damn good. This has got to be one of the easiest yet tastiest recipes out there. I kid you not. All you need is about ten minutes with your food processor and bam you will be dipping your corn chips in this bad boy in no time. 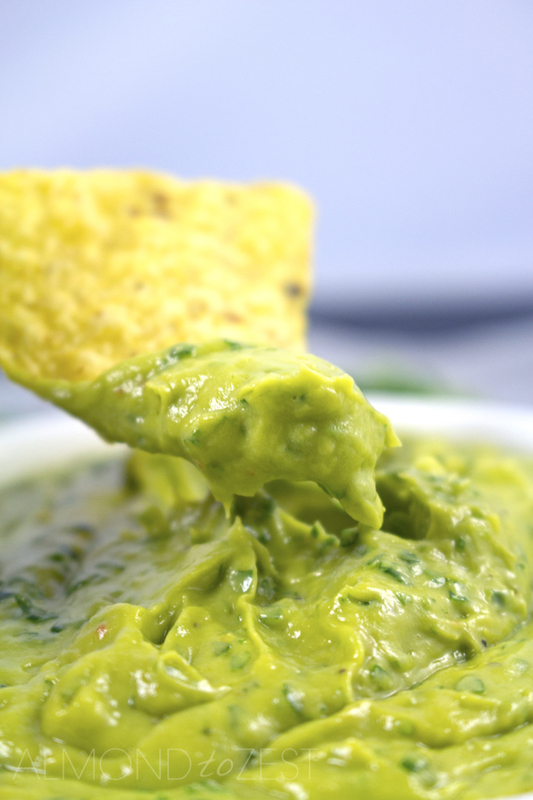 The secret ingredient in this guacamole dip is sweet chilli sauce. It adds a splash of sweetness and a hint of heat. Perfect for any palate. So yummy! This best guacamole recipe is best eaten straight away, but it’s so easy to make that it doesn’t really need to be stored and this crowd pleaser will be gone quick anyway. If you like homemade dips why not try out our recipes for Homemade Cilantro Pesto, Homemade Purple Basil Pesto and Homemade Roast Garlic Mayo. 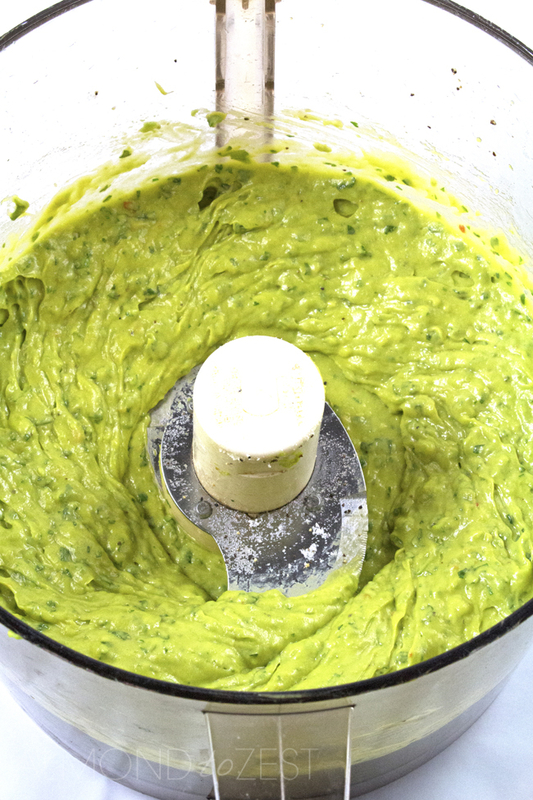 Place the avocado, lemon juice and sweet thai chilli sauce in the bowl of a food processor and process until smooth. Add the cilantro leaves and process for about another 30 seconds. Add and adjust the seasoning processing for a few seconds after each addition.